The Franklin Band has a model for operations. 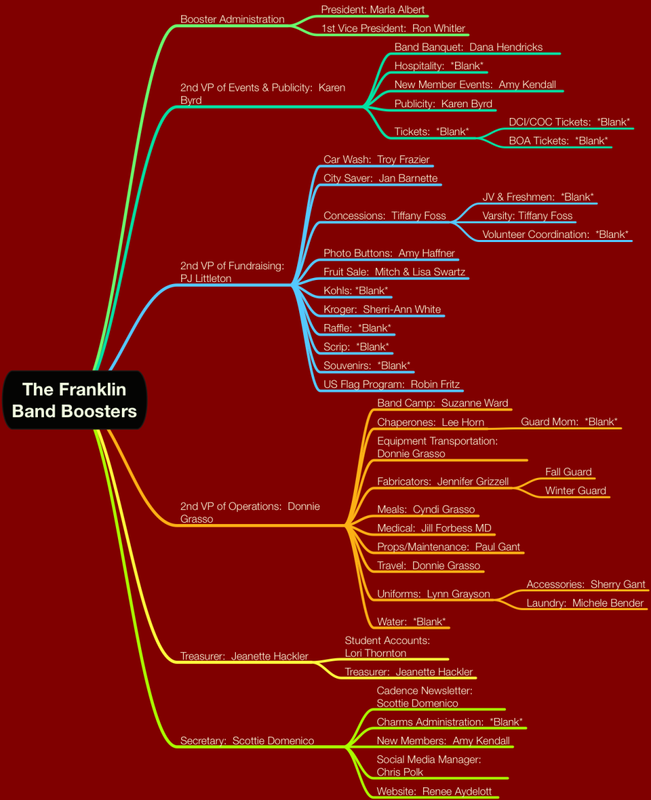 Click to view The Franklin Model. One of our Core Values is Versatility, but the center of the program will always be the concert band. Our band boosters embrace our Core Value of Community and are filling committee chairs for 2016-2017. The Franklin Band has a national reputation, which aligns with another of our Core Values, Excellence. We have performed in the Tournament of Roses Parade, and twice in the Macy*s Thanksgiving Day Parade. Both our Wind Ensemble and our Percussion Ensemble performed at the 2013 Music for All National Festival. The Franklin Winds, a chamber ensemble in the proportions of the classic harmonie performed at the inaugural Music for All National Chamber Music Festival in March of 2015. Three time winner of the MTSU Contest of Champions Grand Championships in 2012, 2013, and 2015. Two BOA Regional Championships: 2012 Jacksonville, 2013 Powder Springs. Recipient of the 2014 Sudler Shield, an international award for high school marching band, sponsored by the John Philip Sousa Foundation. We have community within the school. Being a part of the band program gives underclassmen a connection to upperclassmen, aiding the transition to high school. Our upperclassmen can help younger students get acclimated to the school by mentoring and tutoring. If you’re concerned about your child’s social network, our band is comprised of some of the best kids at Franklin High School. We have several students entering college with music scholarships. 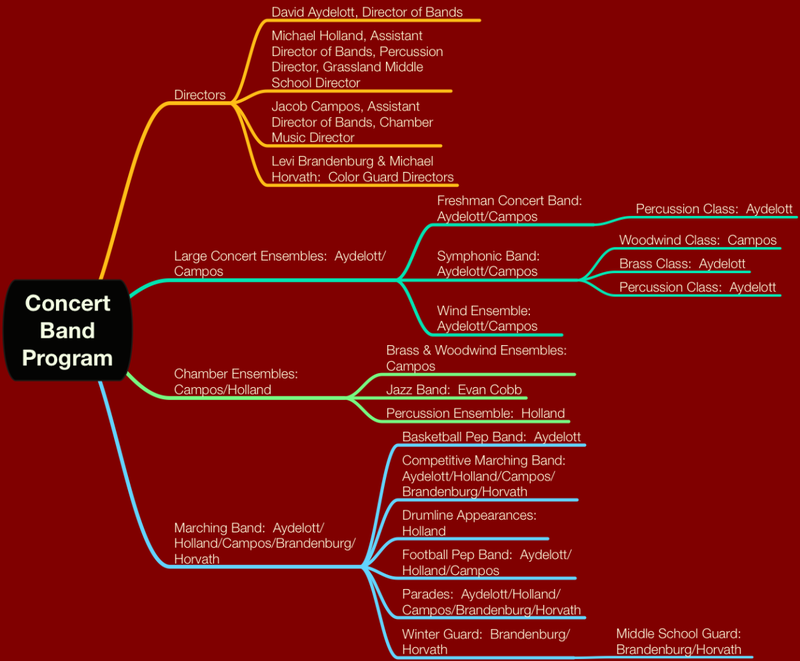 The Class of 2015 seniors in band were offered nearly 5 million dollars in music, academic, and leadership scholarships. Our students succeed as individuals. This past year we have over 20 students in All Mid-State Band, 6 in All-State, and 2 in Music for All National Honor Ensembles. Our students make good grades. We always have several band kids in the top 20 of each class and we have students in the IB program. Jeremiah Wooten, last year’s lead drum major and principal trombonist was named a National Merit Finalist. We have good citizens in band. We have numerous Boy Scouts with their Eagle Scout and Girl Scouts with Gold and Silver Awards. Lots of students go on summer mission trips and volunteer in the community. Band students are leaders in the school. Franklin has a wide array of clubs and organizations. Several of our band students are officers and hold leadership positions. They participate in a number of activities here at Franklin. We have athletes in football, basketball, lacrosse, volleyball, rugby, cross country, softball, swim, tennis and others. We have quite a few JROTC students too. We have numerous fund raising opportunities to help offset the costs associated with trips and fees.